Stand by Me by Neta Jackson was not what I expected based on the publisher's description. Maybe because I recently read Sunrise on the Battery by Beth Hartman which depicted a "real" radical Christian. Kat was more of a baby Christian who desperately needed spiritual grounding. This book shows what happens to people who accept Jesus as Lord and savior, but don't put down any roots or grow as a Christian. What does living green have to do with being saved? You can't help but feel bad for her. I did like how the book showed her questioning and growing - especially when she got a burden for her parents salvation. Since I haven't ever read any of the Yada Yada books, I wasn't familiar with Avis. 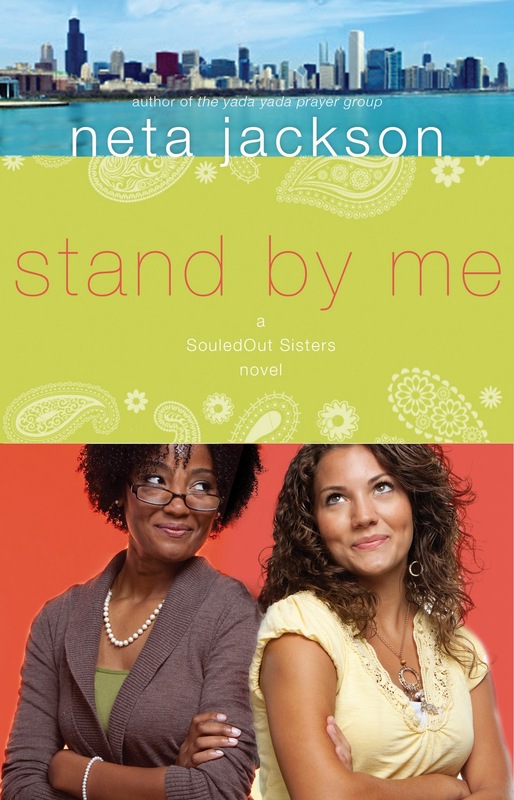 The author, Neta Jackson, does a great job showing real life struggles Christians face with their families through the character of Avis. However, Avis was not really likeable. The joy she got from worshiping God and the awful way she treated the college kids just didn't reconcile. Also, I thought it was a little strange how they kept mentioning a multicultural church, but maybe that's because I was saved in a multicultural church which was never called a multicultural church to begin with and has never felt the need to distinguish between different cultures since we are all under the blood of Jesus Christ. Overall I liked the book, but not enough to continue the series. When Kat discovers SouledOut Community Church, she longs to become a part of the multicultural church family. But her tendency to immediately say whatever she's thinking steps on the toes of nearly everyone she meets-especially Avis Douglass. Avis has a strong faith, is the principal of one of Chicago's highest performing elementary schools, and is a founding member of SouledOut. But the country's economic downturn has thrown both her and her husband's jobs in question. And Avis hasn't heard from her youngest daughter in months-an estrangement that gnaws at her every day. Where is God in this? Kat's flamboyant zeal for living a "radical" Christian life is a stark contrast to Avis's more reserved faith. But in God's timing, the two women discover they need each other in ways neither of them expected. I love how you pointed out that we have "multicultrual" churches in our fellowship, but never felt the need to point out that fact.